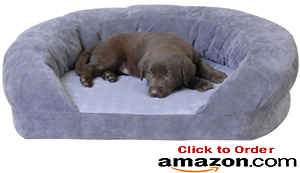 The ideal bed for your dog will be comfy, warm and just the right size and shape. However, you will also want something that is aesthetically pleasing and that suits your home. There is a wide choice of the best dog beds, but before you buy consider the options carefully, and don’t forget that you may need to consult your dog. Whatever type of bed you choose for your dog, make sure that he will be secure and warm when using it. The bed should be a little bigger than he is and allow enough space for him to turn around comfortably. 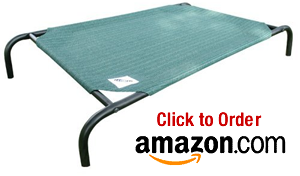 An oval or round rigid plastic style of bed is economical, easy to clean and almost indestructible. A duvet, plush cushion or cozy blanket should be placed inside to make it more comfortable, and it is even possible to buy heated under-blankets to take the chill off the bed on chilly winter nights, although these should not be left on all night. Woven wicker baskets may look great, but they are not only tempting to chew but can also be difficult to clean and disinfect properly. If you do choose a wicker basket, scrub it with soapy hot water regularly and put it outside to dry in the fresh air. Older dogs often find that a beanbag filled with polystyrene beads offers warmth, comfort and support. These have the advantage that they do not harbor parasites. Buy one with the strongest inner cover you can find and that allows you to top up the filling with extra beads. Make sure that it has a washable top cover. Before you buy a beanbag, however, be honest with yourself. If you think there is the slightest chance that your dog will chew his bed, choose something else. Can you imagine how long it would take to pick up thousands of tiny polystyrene balls that have been scattered about your home? 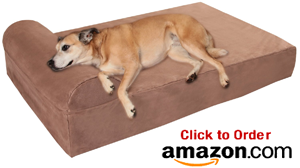 There are numerous designs of modern dog beds, ranging from soft beds that come in every imaginable shape and size with a variety of patterns, colors and fabrics to choose from, to beds that look like sofas, chaise lounges or four-poster beds. You can even find doggy hammocks for a real treat on long, hot, summer days. An older dog might appreciate an orthopedic support. The contoured pillow is designed to provide maximum support and restful sleep for your dog by correctly supporting his head, neck and jaw. Most of the more exotic and unusual styles are available only through the internet or mail order. Before you buy, think about how much space the bed will take up and whether it will be practical in your house. Also, consider whether you will be able to keep it clean. Crates are becoming an increasingly popular alternative to the traditional dog bed. They are made of wire panels that can be folded flat for moving. 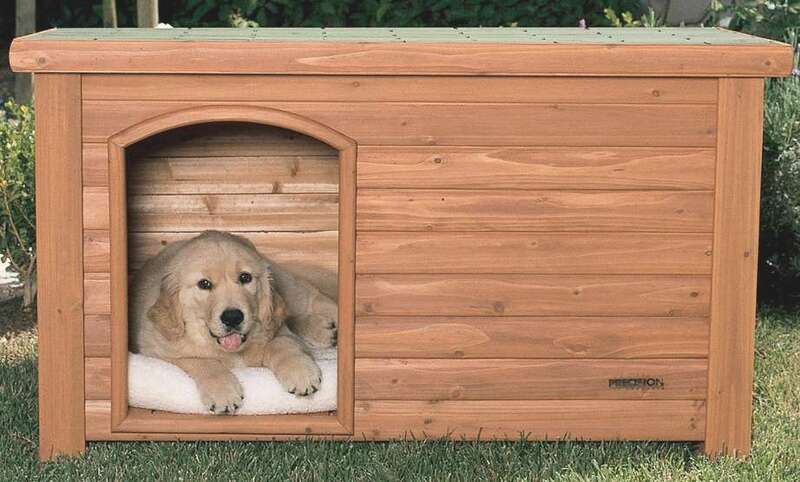 The dog’s natural instincts are to find a den, a place that offers protection, and many dogs take naturally to the crate if it is introduced gradually. 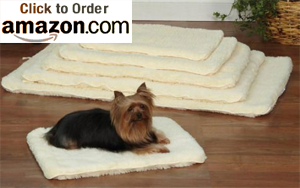 They become a sanctuary, providing your dog with total security and comfort. Lining it with a washable fur-fabric rug or cushion will make it more appealing. 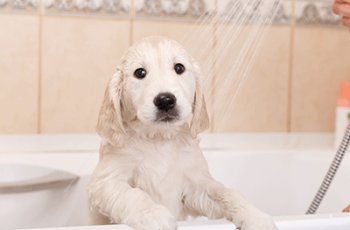 Encourage your dog to go in by placing some tasty treats or favorite toys inside. The crate will serve your dog all his life: on vacations, when you are away and when your dog is ill and needs protection, nursing and rest. Don’t forget, you can always decorate the outside to blend in with your home furnishings, your taste and your dog’s personality.